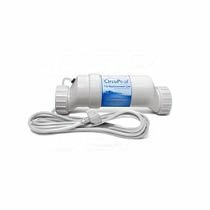 Standard Flow Switch, fits Hayward Aqua Rite, CircuPool Si, CircuPool RJ (3rd-gen.), and more. This was a perfect replacement for my Hayward Swim Pure Plus. My pool guy wanted almost $200, and this only took a minute to screw back into place. Q: I am looking at the flow switch and need to know if I could just change out the wire? Contractors ripped the wire out of the end connector from the control box. A: Yes, you can just unscrew your existing flow switch out of its white pvc housing (the black plastic top with the wire coming out has a threaded connection), and then scew this new flow switch back in place, then finally connect the wire of the new flow switch to your existing control box. Q: Is this a 2" fitting, glue socket, both sides? A: That is correct. For pools with 1.5" plumbing, you simply use reducer bushings that you can get from the local hardware store. Q: My message board on my salt water system says "wtr sensor open, chloronator off - no flow." Do I need a new flow switch? How long should a switch last? A: What model system do you have? 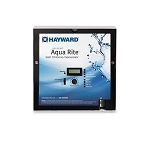 It sounds like it might be a Hayward Aqualogic system. Flow switches typically last a long time, but it is possible for them to get damaged or fail. 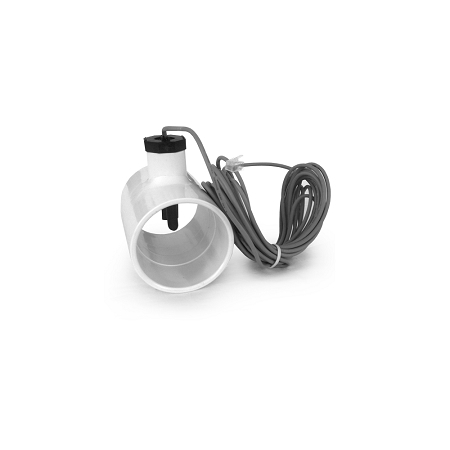 A saltwater chlorinator will turn itself off if it doesn't think water is running through it. Q: I have a circupool SJ 20. Will this connect directly to it? A: No, this flow switch is only compatible with the following models: Hayward AquaRite, Pentair IntelliChlor, CircuPool Si-Series and CircuPool RJ 3rd generation models. Q: I need just the flow switch for a circu si system can I get just the switch? 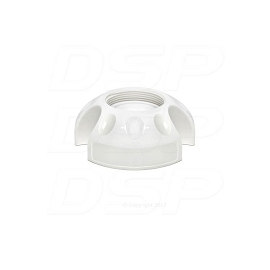 A: These flow switches come packaged with the white PVC T-fitting, but if you don't need it, you can simply unscrew the switch from the fitting, then screw it in to your existing fitting that is in your plumbing. Q: will the generic flow switch work on a circupool si 45 cell and system ? A: Yes it will. It will be a direct one-to-one fit. Q: Where can I purchase a replacement flow switch and cable? Not a switch housed in PVC...just the switch. Do I have to buy the one in PVC and remove it from its housing? 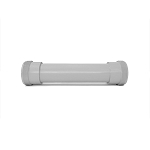 A: This flow switch is just threaded into the PVC housing. You can get it, unscrew it from the housing, and then screw it into your current housing. Q: What is rhe hole size on top that is threaded? 1/2, 3/4?